Ninja Road Block - Norbert's Athletic Products, Inc.
Ninja Road Block has two challenging sides to climb up and over. 60" Portable Wall insludes a wedge on one side and split supports on the other side. Stable enough to use the flat side as a handstand wall station. Hook connector on bottom elps to hold the wall in place. 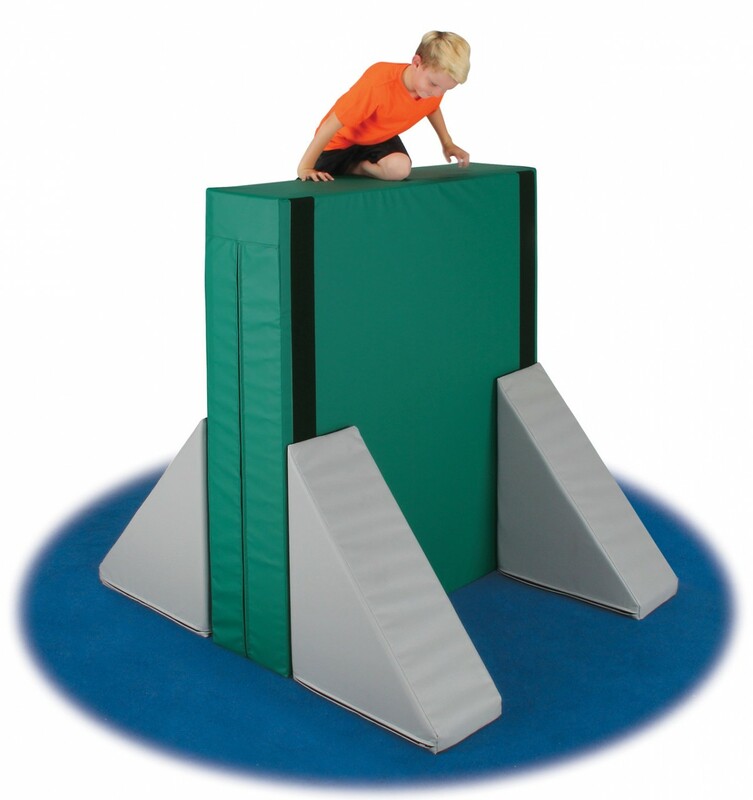 This product is intended for use by children aged 7 through 12 years old, weighing 100 lbs or less (regardless of age), under direct supervision of a trained qualified adult instructor. WARNING: Ninja obstacles are designed to attach to carpet bonded foam. The hook fastener on the bottom of each shape is intended to attach securely to the carpet bonded foam surface. Use caution, older carpet bonded foam surfaces can be worn or compressed to the point that it will not allow the hook attachment to the hold obstacle in place. Do not use if you have any concern about the condition or suitability of this equipment. All instructors and users must be made aware of hazard information supplied with this equipment. This is not a toy. 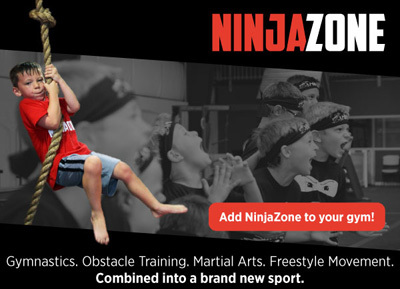 Click the button below to add the Ninja Road Block to your wish list.